I know this wouldn't be popular with most Eagle fans. They just need to see what they are missing. The Giants is the ideal team, more so than the Jaguars, no? If he goes to the Giants, I'll be rooting for him. Because most people think that he isn't a starter. Do you actually think they will allow him to go to a division rival? Do you think Nick Foles will end up with the Jaguars? I'll be rooting for him. Honestly, I would be shocked if a team gave up that much for Foles. I think Wentz has more value than Foles, quite honestly. Wentz is a lot younger and he has the capability to escape the pocket. 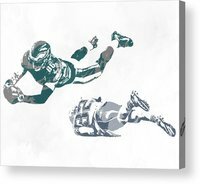 Some fans may not want to see Wentz go, but I'm okay with it if we are getting a top RB or defensive player, along with 2 first round picks. Are you hoping that it's Wentz? If so, are you giving him a big contract? Mods, Is their a harassment policy? I wouldn't be surprised if Jim Schwartz is fired after this season. Doug Pederson should hire Ray Lewis. But you need to bring someone in to challenge him. Lane Johnson's struggles is the most surprising thing to me. Jason Peters had a great career, but I think it's fair to say that he needs to retire. My mind is focused on next year. Our secondary and O-line is garbage! They will need DT, S, and maybe two cornerbacks. As far as the offense, I think we should bring in a bigger back or draft one, draft an OT, and OG, and go after a solid No. 2 receiver. Clearly, this team hasn't moved on from the Super Bowl victory. 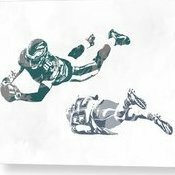 The most annoying thing to hear is when Doug Pederson says that Jalen Mills is good. We only have so much cap space, bro. It is what it is. Congrats on the Eagles committing the most penalties in team history! This team has the most penalties in team history! Doug Pederson is too complacent!